Now the latest march Security update is available for the Xiaomi Mi A1 users. The March Update is based on the Android 8.0.0 and comes with the latest security updates and some bug fixes. 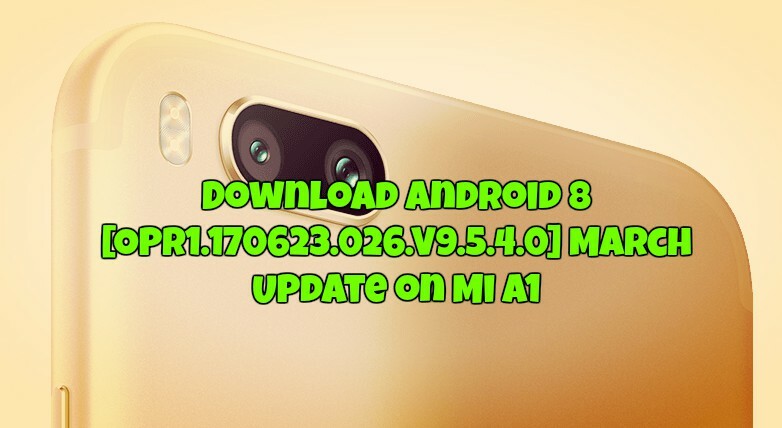 If you are the MI A1 user that you can Download Android 8.0.0 [OPR1.170623.026.V9.5.4.0.ODHMIFA] March Update on your phone. To get this update on your phone all you have to go to the settings page of your phone and Check the System Update on your About Phone option. Here you will get this OTA update, which is near about 400MB. Just select that System Update option and install the latest March Security Update on your Mi A1. But if you are the rooted users, installed TWRP on your phone or made some changes to your system then you can’t able to install this update on your phone. You will get some errors like you can’t install this update etc. So if you are facing such kind of problems on your Mi A1. Then there is the full and working guide for all the Mi A1 users who are not able to install this OPR1.170623.026.V9.5.4.0 March Update on Mi A1. So let’s take a look and install the latest Android Oreo update on Mi A1 phone. This guide is only for the Mi A1 users and don’t apply this method to any other Xiaomi phones. This is the official update and you can install the same on your phone without any problem. Read all the instruction very carefully and follow all of them one by one on your Mi A1. 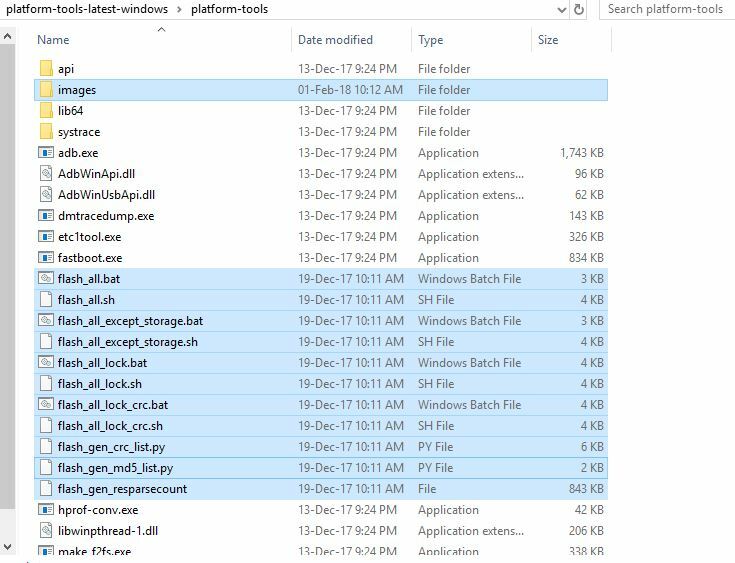 a) Download SDK Platform-Tools for Windows here and extract the folder on your desktop. b) Download the Download Android 8 [OPR1.170623.026.V9.5.4.0] March Update here and unzip the folder on your desktop. c) Do take the full backup of your phone. d) Make sure that your phone’s battery is above 70%. 1. 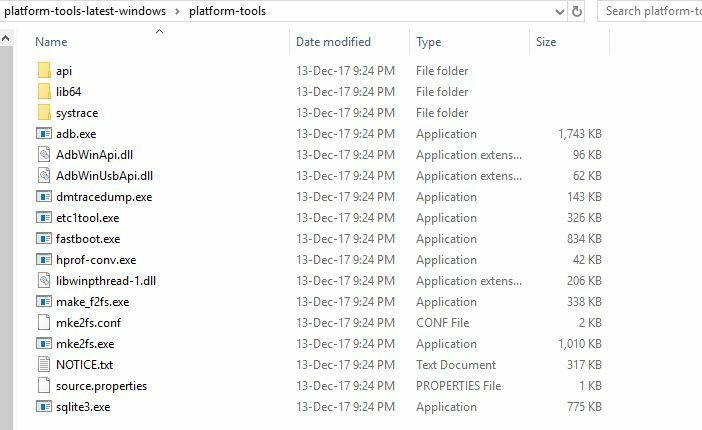 Download the SDK Platform-Tools for Windows from the above mention links and extract the folder on your desktop. You will see some adb and fastboot files in the folder. See the image below. 2. Now download the March Security Android 8.0.0 Update for Mi A1 from above and extract the folder on your desktop. 3. 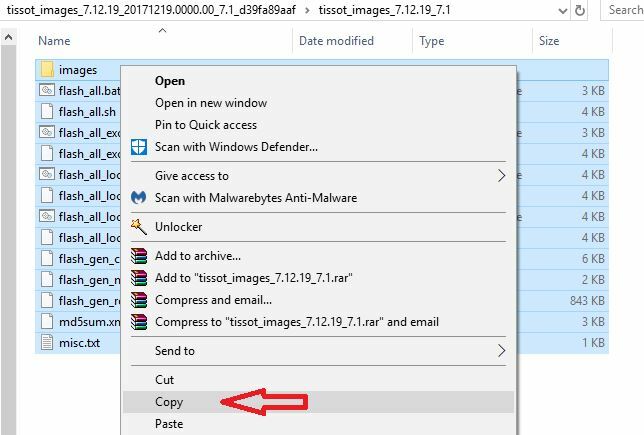 Now copy all the OREO Files and Paste into the Platform Tools folder that you created in Step 1. 4. Once all the files are pasted in the platform folder. Boot your phone into fastboot mode. To do this first Power off your phone. Now Hold down Volume Down + Power button to boot your phone in fastboot mode. 5. 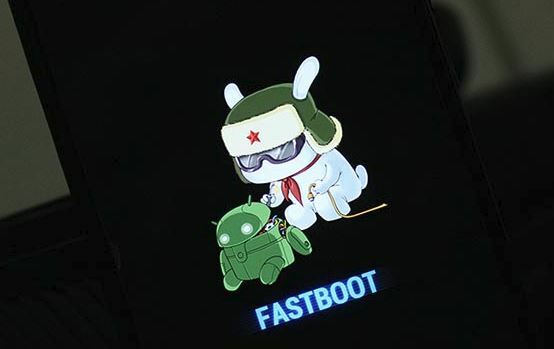 Now your phone will boot in fastboot mode and you will see a fastboot message on your phone screen. 6. Connect your phone to the PC with USB cable to start the update process on your Mi A1 phone. 7. 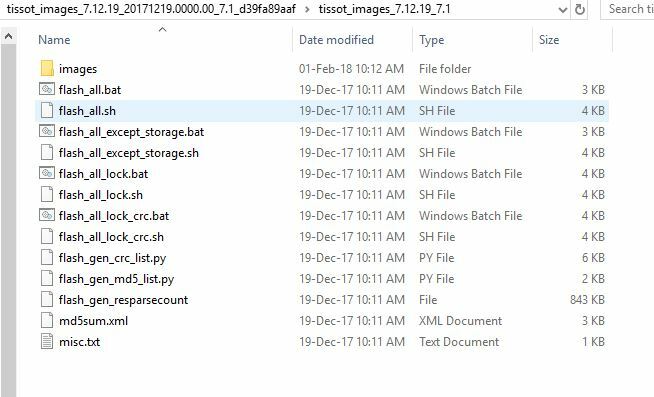 Now go to the Platform folder and run the Flash_all.bat file to start the process. 8. Now a command prompt windows will open and the flashing process will start. And this will take 5 to 10 minutes to complete the task. 9. Once the files are flashed on your phone, your phone will reboot and now you can disconnect your phone from the USB cable. 10. The first boot will take some time. And now you successfully updates your Mi A1 with official March Security update. If you have any doubt or question then leave the comment below. We will help you to fix it up.